Exchanging your vows, smiling until your face hurts, dancing the night away. However you spend your wedding, it is sure to be a day to remember for the rest of your life. It won’t just be a memorable day for the two of you though, it will be an event to remember for all of your guests too. 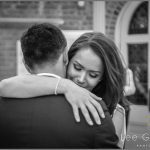 At Lee Glasgow Wedding Photography, whether it’s a wedding in Leicester or further afield in Warwickshire, Lee’s unique style is sure to capture all of these memories for the couple as well as the family and friends to look back on for a life time. Weddings are memorable for several reasons, starting first and foremost with the fact that they are a big night out, a chance for people to dress up, go out, and celebrate the love of their friends and family. With all the grandeur surrounding a wedding, it is an event that is sure to be remembered. Weddings are also a time to catch up with friends and family you haven’t seen in a while. Whether they live near or far, friends and family will travel to celebrate the day with you. Not only will this be a sign of their love for you as a couple, it will also be a time to catch up with them. Guests also look forward to seeing those old friends or faraway relatives they haven’t had a chance to see recently. In addition to catching up with friends, guests also have the opportunity to meet new people. The beauty of a wedding is that it brings all of you and your spouse-to-be’s friends together, many of which have never met, creating a great atmosphere for people to make new friends (and potential love connections). The events of the day also play a key in making memories. Guests will remember the delicious food options you serve, especially if it becomes “the best thing they’ve ever eaten” which is a common phrase heard at weddings, since many of the menu item are delicious food options that people do not often order of their own choosing. The music you play at your wedding reception plays a huge part in the creation of wedding memories. Whether you hire a band or a DJ, make sure they play music that appeals to your main wedding demographic. Guests will remember dancing the night away and having fun tearing up the dance floor. They will certainly remember if your DJ is bad though, and you don’t want them to remember cringing at the beatless music that left them off the dance floor. 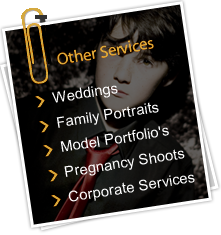 Since it is your wedding day, focus primarily on making it a memorable day for the both of you. Keep in mind though, that many of your decisions directly impact your guests. For example, if you know that you and your spouse are the only two people at your wedding that like a specific menu item, think escargot or sushi, avoid having those as main options at the wedding. If you only like swing music, have your band play swing music for sure, but make sure they mix it up with music that your guests will also enjoy. It is your day, but will be a memorable event for all in attendance.